Saint Etienne are an indie dance/indie pop trio which formed in Croydon, England in 1990. The band was founded by journalist Bob Stanley (born December 25, 1964) and Pete Wiggs (born May 15, 1966) in Croydon, UK, January 1990. After recording 2 singles with guest singers, Sarah Cracknell (born April 12, 1967, Chelmsford, Essex) joined as a full member. The band is named after a French football team. 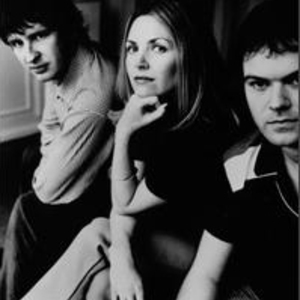 Saint Etienne are one of the bands who defined the early 90s indie dance genre, fusing the production values of the dance-pop that emerged in the wake of the Second Summer of Love with the clever lyrics and self-aware production of indie music. Their official website is www.saintetienne.com.